The New York Times bestselling memoir of the heroic young inventor who brought electricity to his Malawian village adapted for young readers. Now available in paperback! 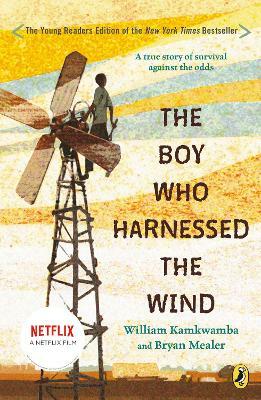 When a terrible drought struck William Kamkwamba's tiny village in Malawi, his family lost all of the season's crops, leaving them with nothing to eat and nothing to sell. William began to explore science books in his village library, looking for a solution. There, he came up with the idea that would change his family's life forever: he could build a windmill. Made out of scrap metal and old bicycle parts, William's windmill brought electricity to his home and helped his family pump the water they needed to farm the land. Retold for a younger audience, this exciting memoir shows how, even in a desperate situation, one boy's brilliant idea can light up the world. Complete with photographs, illustrations, and an epilogue that will bring readers up to date on William's story, this is the perfect edition to read and share with the whole family.